The Help to Buy ISA Scheme was launched on 1 December 2015 and conveyancers can register for the scheme from January 2016 with the on-line Help to Buy portal (through which bonus applications are made) available from 31 March 2016. Eligible Conveyancers will be required to sign a Conveyancer Adherence Agreement – a copy of which is annexed at Schedule 8 to the HM Treasury Help To Buy ISA Scheme Rules – see here. The first eligible bonus applications can be made from 1 February 2016 and there are interim arrangements in place until the on-line portal is set up; details of which are on the Conveyancers’ Help to Buy ISA Scheme website – see here. The last date to join the Help to Buy ISA Scheme is 30 November 2019 and the deadline for making a claim for a bonus on behalf of an ISA Holder is 1 December 2030. A bonus equating to 25% of the total amount saved, subject to a minimum bonus of £400 and a maximum bonus of £3,000 can be claimed where the ISA Holder is a first time buyer, buying an interest in a residential property (ie named on the title deeds) in which they intend to live that does not exceed £250,000 outside London or £450,000 in London (details of the London Boroughs are contained in Schedule 9 of the Scheme Rules, as above) funded by way of loan / mortgage (although the ISA Holder does not have to be named on the mortgage). There are limited exceptions relating to members of the armed forces or their spouses or civil partners relating to living in the property at the time of purchase. The minimum bonus (£400) available means that if there is less than £1,600 in the Help to Buy ISA, then the ISA Holder will not be eligible for a bonus. Similarly, the maximum bonus (£3,000) available means that where a closing balance exceeds £12,000 then a bonus is not payable on anything over £12,000. The term Eligible Conveyancer (EC) is used in the Help to Buy ISA Scheme Rules and also in the Conveyancer’s Guidelines. 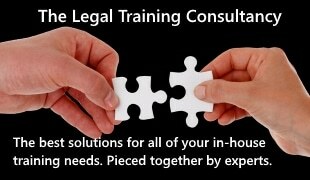 An EC includes a solicitor, licensed conveyancer or Legal Executive. There are different processes for entering the Help to Buy ISA Scheme as a Eligible Conveyancer depending on whether you are a member of Lender Exchange or not. EC who are members of Lender Exchange are deemed approved, subject to meeting certain specific criteria. Lender Exchange members will be invited to register and subsequently issued with an ID panel number and an account. Where an EC does not have a Lender Exchange account, bonus payments may be delayed for up to 15 days. The EC will make the application for the bonus on behalf of the client – eventually via the on-line portal – and confirm that the client (ISA Holder) and property meet the eligibility criteria. Bonus applications should be made in anticipation of completion of purchase. It is anticipated that the process of closing the ISA Account (which is the responsibility of the ISA Holder), receiving the closing paperwork to enable the bonus application to be made and processing the bonus application will take 10 business days so it is important that the application is made in good time. An expedited bonus payment process will be also available. Any bonus must be applied for within 12 months of the Help to Buy ISA account being closed. The on-line portal will calculate the amount of the bonus based on the information input by the EC and progress of the application can be tracked via the portal. The bonus payment is made directly into the firm’s client account and cannot be used for the deposit on the property. If the property is not acquired within 3 months or it does not proceed to completion the EC must, within 10 business days, return the bonus to the Scheme Administrator and return or retain any interest as well as completing and subsequently providing the ISA Holder (client) with a Purchase Failure Notice (precedent at Annex B of the Conveyancer’s Guidelines). The Purchase Failure Notice will enable the ISA Holder to re-open a closed ISA Account if he or she should so wish. The Scheme Rules provide that interest of £10.00 or greater should be returned to the Administrator. If the property does complete, the EC must confirm, within 10 business days, to the Scheme Administrator via the on-line portal that the purchase has occurred and that the entirety of the bonus was applied to the purchase. Various documents must be uploaded to the on-line portal including a certified copy of the Land Registry title or the equivalent in Scotland and Northern Ireland, again within 10 business days of receipt of the documents. Interest accrued on the bonus whilst held in the EC’s client account must be applied to the purchase of the property. The EC can charge a maximum of £50.00 plus VAT for the service provided. The EC must inform the ISA Holder that HM Treasury will be the Data Controller and obtain their explicit consent to provide information to HM Treasury and the Administrator or any sub-contractors before any relevant personal data is provided. Documentation relating to the bonus must be held for 6 years (10 years in Scotland). If it subsequently transpires that the ISA Holder was not eligible for the bonus, the Administrator can request repayment of the bonus and the EC will be required to indemnify HM Treasury for reasonable losses. An audit and compliance process is set out in the Conveyancer’s Guidelines and indicates that where an audit reveals non-compliance by the EC, they could be suspended or expelled from the Scheme. The Help to Buy ISA Scheme was launched by HM Treasury on 1st December 2015. If you have taken out a Help to Buy ISA, then you may be eligible for a bonus payment of up to 25% of the closing balance of the Help to Buy ISA subject to a minimum bonus payment of £400 and a maximum of £3000 and provided that you and the property you are purchasing meet the eligibility criteria set out in HM Treasury ISA Scheme Rules. The fee earner with conduct of your matter (who under the Help to Buy ISA Scheme is known as the Eligible Conveyancer) will be able to advise you on eligibility and, if appropriate, will undertake the necessary process to apply for any bonus payment. By signing and dating a copy of these Terms of Business (or the accompanying client care letter), you agree to us providing all necessary Relevant Personal Data to HM Treasury and to the Administrator and / or to any sub-contractor of HM Treasury or of the Administrator and to the processing of your Relevant Personal Data by any or all of the aforementioned parties. In addition, and as you are able to charge a maximum fee of £50.00 plus VAT for this service, this information should be included within your estimate of costs at the outset if you know that the client / property meet the eligibility criteria and the client is a Help to Buy ISA Holder or added to any information you provide to clients at the outset on additional charges (ie menu of additional charges). If the latter and the client subsequently confirms that they have a Help to Buy ISA and they and the property meet the eligibility criteria, details of the additional charge must also be given to the client at that stage.